Giants SplitSeasonTickets : Home : Welcome! Making it easy to share Season Tickets! Browse through listings to find the seats that best fit your interest. Share your Season Tickets. Find new partners and manage your tickets and partners. 1. Find Season Ticket group that works for you. 2. Let the Season Ticket Member know. 3. Finalize an agreement to share Season Tickets. Browse through listings and make offers on tickets that interest you. Buy tickets to several games at once and you may just find that perfect Season Ticket partnership that will endure for years. Browse through all Season Ticket Listings in a list format. Quickly filter by price, number of tickets, seat location, and more. Go! View all listings in a map of Oracle Park. Narrow your search by section and find the best group for you! Go! Tools to manage your partners and tickets. Create a custom listing to find people to take some of your games. Keep track of your Partners and Tickets. List which games and tickets you have for sale, or offer a general partnership where games and tickets are decided later. 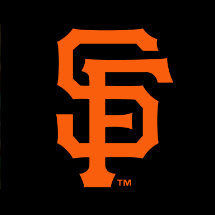 These web-based tools are provided to Season Ticket Members free of charge courtesy of the San Francisco Giants.